Giveaway has expired! Thank you all for participating! Comment here or on Facebook, or add an entry to the rafflecopter, to be added to the giveaway list! Commenting is the easier option as rafflecopter doesn’t work on phones. Given the drama of last night’s elections, I thought it would be a good time for some catharsis. 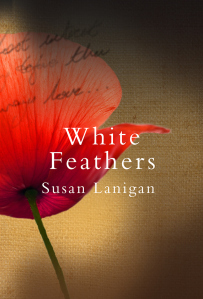 So I am giving away one copy of my WWI novel White Feathers, shortlisted for Romantic Novel of the Year 2015 – reviews and summary here. Goodreads link here. 2015 and 1915 – politics, governments and elections below the cut. TL:DR Asquith not an impressive figure. 2015: Last night, counting the votes of the British general election took place. The result shocks many people. The Conservatives have won an overwhelming victory, with Scottish nationalists taking many seats away from the Labour Party and Liberal Democrats, who have been routed. The reaction on my feeds has been largely bafflement. Some rage, in places. 1915: Almost exactly a century earlier, the British government begina to splinter and fall without any election at all, starting with the Shell Crisis at the battle of Neuve-Chappelle, a battle whose trajectory is mentioned in the novel since it has direct bearing on one character’s life. This disaster forces Asquith into a Coalition, something that will work out as well for him as has done for, well, Nick Clegg. Herbert Asquith is the government leader, the PM who had declared war on Germany. He is also the leader of the party that is now (or one might say, was, given last night’s rout) the Liberal Democrats. Looking through a brief history, it’s hard not to conclude that Asquith, by current and contemporary standards, was a bit of a tool, a ditherer, a drunkard and a man invested with an over-high sense of self importance. Eventually in December 1916, under heavy pressure, he cedes his position to fellow Liberal David Lloyd George, who openly condemns the wasteful battles of Neuve-Chappelle, Loos and the Somme and made attempts to break up the generals’ control over the War Machine.